Located in the Ditch Plains Beach Community, approximately 3 short blocks to the beach. Great cottage nestled in ditch plains. Walking distance to the beach and super close to town! The house was clean, tidy and equipped with everything we needed. Christopher was super accommodating when it came to our pups as well as check in times. We can't wait to come back next season! Thank you for taking time to write a review. I'm sorry I missed you during your stay but I am happy you enjoyed the house and Montauk. I look forward to welcoming you back again. The "cottage" was clean and in a great, quiet, neighborhood; we could hear the ocean. The property manager was very accommodating and pleasant. The beach was at least a half mile away and very disappointing! Essentially a surfers beach and very rough. The facilities at the beach amounted to a cluster of "Port a Potties" at the beginning of the parking lot. We went to Hither Hills which is wonderful and about 3.5 miles from the cottage. The "village" of Montauk is subject to East Hampton Town laws ( the land of NO)! The one bright spot was the IGA supermarket where we found the clerks friendly and the prices reasonable. On the other hand the proprietors of the local shops were rude and unaccomodating.The majority of the restaurants were "cash only" and the nearest ATM for our bank was at the "7-11". So while the property met our expectations the surroundings were disappointing. Joseph, I'm glad you found the house and the location enjoyable. That is the only aspect of your stay that I have any control over. I would point out that Ditch Plains Beach, which is LITERALLY 3 BLOCKS AWAY, is one of the most sought after beaches anywhere. 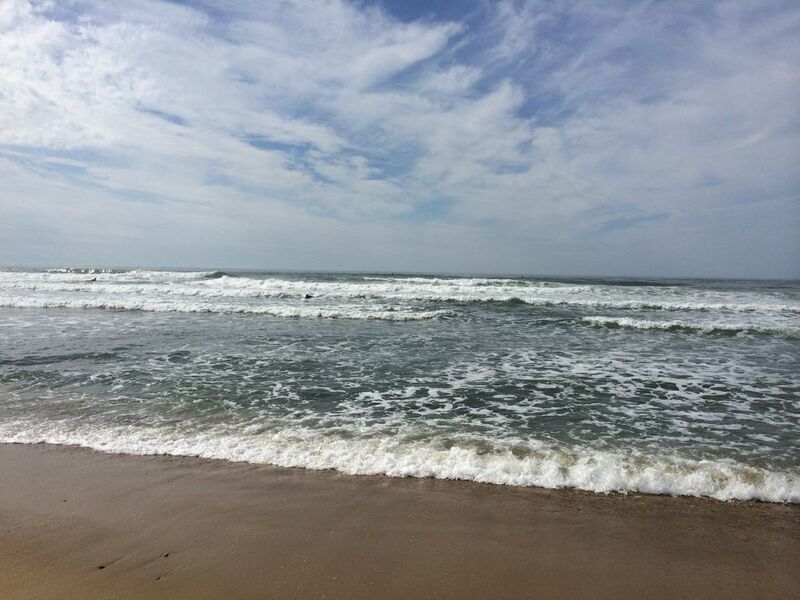 It's unfortunate that the surf was rough during your stay and you did not walk the nature trail or along the beach from Ditch Plains all the way to downtown Montauk to take in the magnificent bluffs and serene beach. Regrettably, it appears that your rating of my property was intertwined with your feelings about certain aspects of Montauk that you seem to dislike. Regardless, I'm sorry that you did not fully enjoy Montauk. Truly enjoyed our stay here. Very reasonable for this part of Montauk. A very short stroll to the best beach in Ditch Plains. The cottage was in great condition and very clean. The beds were great with memory foam type mattresses. Don't forget about the outdoor shower! Tom, it was great to have you and we're happy that you enjoyed your stay with us. The cottage was excellent and the host very responsive and friendly. Very convenient to Ditch Plains beach, town, and all of Montauk. Loved it and highly recommend! This place was everything it was advertised as. Clean. We had a wonderful time. This house was great. Convenient to the beach and down town as well. Nick, so glad you enjoyed the house and thank you for taking the time to write the review. We look forward to hosting you again in the future. Payment for Rental, Cleaning, Taxes and Pet Fee (if applicable) must be paid by e-check or an additional 3% will be assessed to that total amount. The Damage Protection (a/k/a Security Deposit) can be paid by e-check or credit card without fee. Cancellation Policy: Upon cancellation you will be responsible for 10% Rental Cost as as service fee plus any difference in the rental revenue from re-renting the rental period being cancelled. In the event of a cancellation, we make an effort to re-rent the property. The greater the notice, the more likely the loss will be limited to the 10% service fee. It is highly recommended that Travel Insurance from Travel Guard or Allianz be considered to protect against unavoidable cancellations.